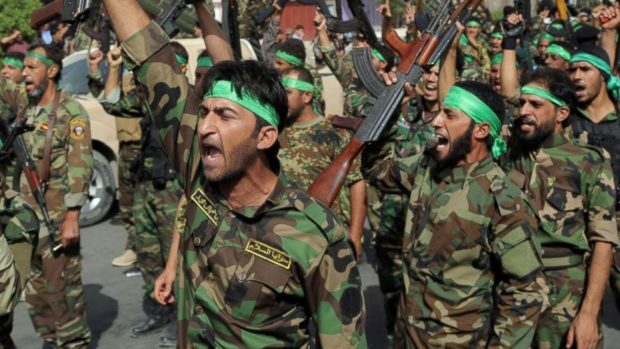 BCF : While the United Nations, Israel and the US are proposing plans to alleviate the suffering of the Palestinians in the Hamas-ruled Gaza Strip, Iran is pledging to continue its financial and military aid to Palestinian terror groups. The Iranian general did not offer to build the Palestinians a hospital or a school. Nor did he offer to provide financial aid to create projects that would give jobs to unemployed Palestinians in the Gaza Strip. His message to the Palestinians in the Gaza Strip: Iran will give you as much money and weapons as you need as long as you are committed to the jihad (holy war) against Israel and the "big Satan," the US. Now, someone needs to step in and stop Iran from setting foot in the Gaza Strip and using the Palestinians as cannon fodder in Tehran's campaign against the US and Israel. How might someone do that? It is not so complicated. Any international aid to the Gaza Strip must be conditioned on ending Iran's destructive effort to recruit Palestinians groups as its soldiers. It is that simple.